Today we take a closer look at the very popular Consulting Accelerator Program by Sam Ovens. What is the program about? Is Sam Ovens a scam or not? Is his program really that good as it sounds? Is it going to be something for you or not? Can you make a lot of money with the help from the program? These are some of the questions this review will focus on. Ok, here we go! Who is it for: people who want to make money online and/or aspiring consultants looking to take it to the next level. What is Consulting Accelerator About? 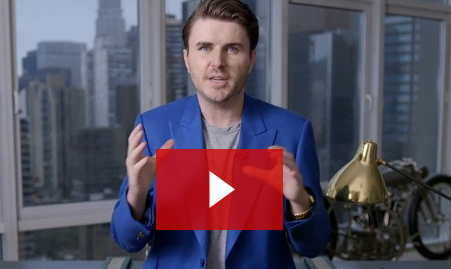 The Consulting accelerator program is a program that has become extremely popular lately, it is a training program made by the self-made millionaire Sam Ovens. He will share all the knowledge he has gained from his years struggling to find a success formula that he eventually found. The program will give you a shortcut to success instead of struggling yourself for years like he did. It takes you step-by-step through what you need to do to create a highly successful business from scratch. First, you get to pick your niche, then you get mindset training, sales training (phone call), How to find clients (organically) training, how to finds clients (paying money), training on how to build your sales funnel, Facebook ad training, etc. In short, you will get access to information on how to start your own Consulting business from scratch or expand your existing one. Is everything you need really included? That is not included and that is what would have made this course complete… but that you have to learn on your own, or hire someone to do for you (not cheap). If you want to learn how to do that (high-income skill) then I can recommend that you learn from the best in the world on this. I speak of Perry Marshall, of course, there is no doubt among the online entrepreneur elite that this man is the absolute best in the world on Google Adwords. Are There Any Additional Costs To The Program? No, there is no hidden upsells and such. That is something I personally truly appreciate as I am NOT a big fan of upsells. However, as you might know, in business it can be worth to invest in extra things to help you out with your progress. 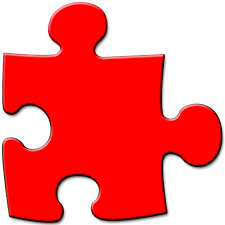 Things such as software, hardware, websites, services, etc. So it can be a good thing to have some extra money to spend on such things, just so you know. However, it is absolutely not required to make the program work but it will help a lot. Sam Ovens is a true underdog success story, he started out broke in his home country New Zealand struggling to make things work for him. He ended up living in his parent’s garage where he finally found the right formula to succeed. From there he has made a fast transformation and managed to move to a luxury apartment in New York City where he has his office now and works from. He has created more than a hundred millionaires with his training program and thousands of 5 figure earners. Is Sam Ovens A Scam? So, is Sam Ovens and his Consulting Accelerator Program a scam? No, it is not a scam. It does work… IF… you work… Nothing will come for free and you are gonna have to be prepared to put in the work and effort required, and it is a lot of work, make no mistake about it. You also have to either hire or learn GoogleAdwords, and there is nobody else I would recommend for learning that than my friend Perry. ==> Learn for FREE with this gift! This is not a “get rich Quick scheme” those things do not exist, it will take a lot of work from your part to make this work for you and that is something you are gonna have to think about before you decide to join or not. Even if there are no upsells that you absolutely going to need, it will help you A LOT if you got some extra funds to spend on other things once you get started and want to get more serious about things. Therefore I will try to separate who I recommend this program for in 2 different groups. If you are very driven and are determined to succeed then this might be exactly what you are looking for, if you can afford it of course. If you have been in the “make money online” business for a while and think that things move a little “slow” in earnings this might be the thing that takes your business to a whole new level. Also, if you are a newbie (with a strong WILL) you might be a success. If you fit in the above description I would strongly advise you to give the program a serious go. You understand that there are more than 1 ways to make HUGE money online, sometimes slow is better, right? Have no idea on how to create a website, no SEO experience, never made any money online before. You are “broke” and cannot afford to spend $2,000 on something for the moment. If you feel this is you, then you might want to go with something else that is cheaper and also will get you started learning some basics from the ground and up first. This program is legit, no doubt about that. When I first came in Contact with the program I was thinking that it was a scam to be honest, why? Well, simply because it sounded a little bit too good to be true. However, after trying out the program for a while now I truly understand the value of it and am happy I invested the (around) $2,000 in this new knowledge. But please, do not only take my word for it, there are THOUSANDS of testimonials from real users of the program that you can see for yourself on this page. 4 out of 5 stars is a very good rating to be on this site, the only reason I don´t give a higher rating is that there is some training that I “miss” in the program, for example on how to hire contractors and exactly what to look for when doing so. Also, I think about the complete “uneducated on the subject” ones that have no idea on how to create a website and such… but… just to be clear… I am more than happy with the training material inside the program. The rating 4 out of 5 stars is a pretty good rating to be on this site (StartMakeStopWaste.com) and is something that very rarely happens when we review a program. 5 out of 5 is almost impossible to get (we are perfectionists here) and has only been given one time, to the one and only Internet Marketing University program WA. 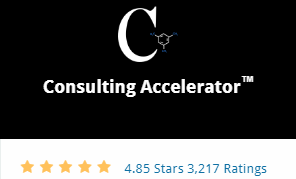 Hopefully I have made my point clear about who I recommend the Consulting Accelerator Program to and who I would not recommend it to further up in this review. The program is awesome for someone that is highly driven and determined to make it happen, or for someone who has been into internet marketing for a while and is looking for ways to expand their existing business or build another new one. It teaches you new ways to sell stuff and a new “way of thinking” that you might not have in your toolbox right now. Just keep in mind, it WILL require a lot of work from your side, and please DO NOT invest money that you cannot afford to lose into this or anything else. 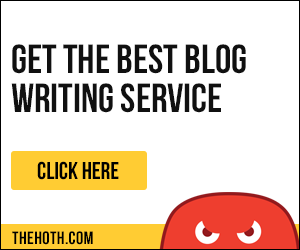 Want a cheaper (and different) way? The financial question can be a challenge and that is something I absolutely understand, I would also not recommend anyone that is completely new to internet marketing to start with Sam Ovens Consulting program as it might be a bit ” too big of a piece to swallow” for you. If you want to learn from the ground and up, the basics to create websites, drive visitors to it, and make Money from it then there are much cheaper and AWESOME training programs for that. You can even get started completely for free and get step-by-step video instructions and tasks to complete with 24/7 support all the way. I got a few of these programs listed on this site, all of them works as long as you stick to the training and don´t give up. The absolute best one I would recommend is Wealthy Affiliate University, it has been the leading training platform/community in the industry since 2005 and has more than 800,000 members from around the World. It could be a way for you to get started without taking the consulting accelerator course BUT it can also be great to join even if you are taking Sam ovens course as it has huge benefits, for example, you get to host up to 25 websites for free (with the premium membership), you will also get free SSL on any site you want, so I would recommend it to literally anyone. Below you can see other benefits. It is absolutely free to get started and you can even make money as a free member. There is also a paid membership to consider if you decide to become more serious but it is absolutely not required. However, if you, later on, want to get more serious about your internet business and upgrade to a premium membership, it is (in comparison to Consulting Accelerator) an absolute “bargain” as you can get a whole years premium membership at WA for $359 as it will take you step-by-step through basically ANY topic of the internet marketing world.. However, I strongly suggest that you try the free membership first to see if it is something you can see yourself doing. Important to mention here is that there are many members from the consulting accelerator that are members on WA as well (myself for example). I hope you found this short Review of Sam Ovens Consulting Accelerator Program to be helpful and now you should have a better understanding of what it is and if it is a scam or not. If you have tried it yourself please share your experience with us in the comment section as it can help others to make the right decision for them. Also, if you got any questions about this Review I will be more than happy to answer them below. I’m impressed. There are many gurus just like Owens nowadays, that offer coaching for a fee. From Ewen Chia, to Russel Brunson, and many others. One thing I noticed they have in common: They are all pricey!! I like the alternative you shared. It seems it’s the one that’s good to me. So, expect to find my name in your back office for that program. I like programs that are not too pricey, as we are all just getting started and can’t afford to spend thousands of dollars just to learn online business. Yeah, you are right Gomer that there are many “gurus” out there, most times they tend to be “scammy” in my opinion and usually they are only after your money. Sam on the other hand feels very genuine and I get the feeling that he truly wants to help his students/member to achieve success. The price question can be seen in different ways also.. on one hand that the high price is just an expensive one to generate money for the “program owner” on the other hand a higher price can also work as a motivation to put in the work needed to succeed. So I would say it depends on how you look at it. But yes, the alternative I suggest is absolutely AWESOME, especially if you are a complete beginner but also for an experienced person in the subject. There is no limit on how much you can earn from what you learn there, it is packed with training and info, you also get free hosting (in the premium membership) of up to 50 websites so only that is a good reason to join it. Wealthy affiliate is not a high income skill and will not make you financial independent, Consulting.Coaching is a high income skill and can make you indeed wealthy. Thanks for this review. I had been looking for some information regarding this consulting accelerator for a while. The main thing that puts me off is the price. It is a very big risk. As much as I have read and tried to research the programme I would like to be able to see it first before I paid any money up front. I just wish that these programmes would let people have a look at them for free first before they have to pay. I am still considering this scheme and your review has helped. Hi Eddy, yes I understand your thoughts on the price. You can actually get a refund so there is a possibility to “try it for free”.. However, it requires you to really go through a big part of the training first and take action on the tasks given for you to be eligible to get a refund. Your review on the Sam Ovens Consulting Accelerator program and whether it is a scam is very informative. I like how you divide your readers into two groups. Those who have been in the business for a while and those who are more or less beginners. Since I fit into the more or less beginner category; I will try Wealthy Affiliate as I think that is the best place for me to learn from the ground up. thank you Jeannie! Glad you liked the review. Sounds like a good choice if you, like you say are a complete beginner. Sam Ovens consulting accelerator is also for beginners. week 1 is for beginners. I have learned the hard way that not all websites that promise to teach you how to make money online actually deliver. I got disappointed in the meantime many times and lost hope that I will ever be able to find a legitimate way to earn a living online. Most such systems are MLMs and will only make money for the people at the top of the pyramid. It took me a long time and a lot of research until I found one that won my trust. I am still learning but I am now convinced it is only a matter of time and hard work until the results will appear. 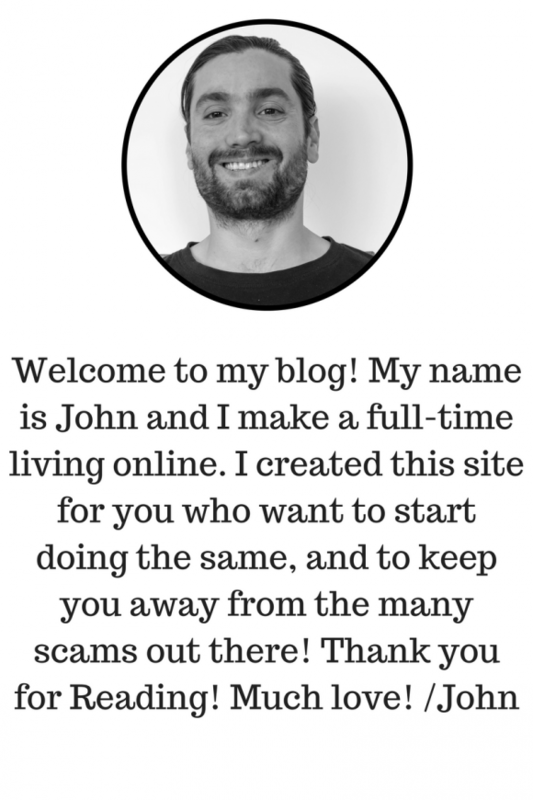 Thanks for your reviews on the different money making schemes and exposing the dishonest ones. Looks like Sam Ovens is offering a legitimate program. However, I find the price too steep and I can find other training programs that are priced much lower and does the work just the same, or even better. Particularly for someone who is just starting out and has not much capital to spare, this would be very limiting. I clicked on your link to Wealthy Affiliate and I agree this is one of the better alternatives. It is less expensive but a very comprehensive platform that gives value for your money. Thank you for the alternative option to Consulting Accelerator. It was a bit to “pricy” for me. Having never heard of Sam Ovens before I found this an interesting post. However, the price tag is HUGE and that would put me quickly. I don’t think most people would have that kinda money to invest’ to be honest. Like you said, there are some elements in the training that are missing. I am glad I found this review, thanks for the heads up. Is the $2,000 worth it when you can get good training elsewhere for practically free at places like Wealthy Affiliate? Thanks for you detailed overview of Sam Ovens. My personal feeling is that for the individual who is starting out in online affiliate marketing, 2000 dollars is a steep price to pay. Wealthy affiliate is a much more affordable investment and it provides you with all the tools you need to become successful. One must always remember that to truly succeed at any venture, it requires patience, diligence, and hard work. Thank you, glad you liked the review. you are absolutely right that it takes patience and hard work to succeed at anything. I’ve seen sam ovens a couple times on facebook ads, he really reminds me of Tai Lopez without the garage. Anyways so would it be better to let’s say join wealthy affiliate and after you get your feet off the ground and establish a working business model to then go try out sam ovens program? Another thing is I know Tai Lopez specializes in things like social media marketing so what exactly does sam ovens teach you to consult about and would his SEO training be wrapped around the idea to bringing customers to your consulting business? However, WA can benefit someone A LOT even if the person have joined the Consulting Program as you can host up to 50 websites for free (included in your premium membership) and you will also learn how to create your own websites easily, etc, etc. Sam in his q and a calls says that seo is nonsense, facebook is the place to be, and he is right, you can target people there very easily. Well, haven´t heard him say that, however, personally, I would say that SEO is NOT nonsense, it is a very powerful method to have. Everyone is allowed to their own opinion though, just as everything isn´t for everyone. I’m so glad to stumble on to your web page and review on the Sam Ovens Consulting Accelerator program about whether it is a scam or not. Your review is most informative and real game changer for me! I also noted that you’re from Sweden and I have several friends from Sweden, one just up the street from me who is our good friend! Yesterday, I listened to Sam Ovens’ 3-hr persuasive presentation and was almost tempted was to sign up with my credit card even though it means involving a heavy opportunity cost for me. Having practiced Eastern meditative practices, I held back and decided to first meditate or reflect over the pros and cons, and to examine my real needs in my current situation. And I needed to read more independent write-ups about Sam Ovens’ program. I googled and read the four books he recommended and thought they were very good. Then the thought dawned on me to google this question, “Is the SOC Accelerator program a scam?” and your article showed up. You gave a fair and objective review about the program and I especially like how you divide your readers into two groups—those already in the internet/online business for a while and those who are more or less beginners, like myself. After reading your review, I think Wealthy Affiliate is more suitable for me in my current situation. It sounds like WA is the better place for me to learn from the online business from ground zero. Still, I am a beginner and obviously looking for like-minded individuals who can give me a helping hand as I take baby steps. I hope you don’t mind me coming back to seek more advice from you! Thank you! Glad to hear that you found the review helpful and it sounds to me like you are on the right path! You can absolutely ask me for help about anything! Hi John I payed for the consulting program of Sam Ovens 2 days ago but I see that it’s not for me. How can I take my money back? I payed 599 dolars. If I remember correctly (and if it has not changed) you are required to show that you have gone through the course material to a certain point (cannot remember where) and if you haven´t got a client you will get a refund, right? Do not ever work with Jon Mac of ( Blue Label Consulting/Ecomm House, Inc. ). He is a SCAMMER! You will lose money and he doesn’t believe in giving a refund. We hired his private coaching for $5,000. His promise is to help us scale Facebook advertising via Skype and unlimited emails. He was hard to get a hold of. Often don’t respond to our emails and causing us to burn through our Facebook ad spend. Once you pay him for his coaching, he disappears. He made many promises on his webinar of his coaching program. His webinar is filled with promises that he could not and did not deliver. Many people got duped and a lot of us got burned by him. Do you think I am the owner??? Please tell me, what makes you think that? /Am not the owner and you are completely wrong about the price. Initially, reading this article is what got me started with wealthy affiliate, and it is a decision I don’t regret. Before joining wealthy affiliate I was about to fork over nearly 2000$ to Sam Oven’s consulting accelerator program, but then I read this page and decided not to. Thanks for writing it! While Sam’s course may be excellent, it wasn’t the right choice for me at the time, and I think Wealthy Affiliate is a better bargain for the money. I’ve been a member of Wealthy Affiliate for about a month now, but I feel that I have learned a tremendous amount of knowledge from them so far – there are thousands of resources available at for a tiny fraction of the cost of Sam Oven’s Consulting Accelerator. Great to hear that this post have helped you out! Even better to hear that you made the judgment yourself on what you needed and was after, I command you for that!